Did you receive a marriage proposal and are unable to make a decision about it? 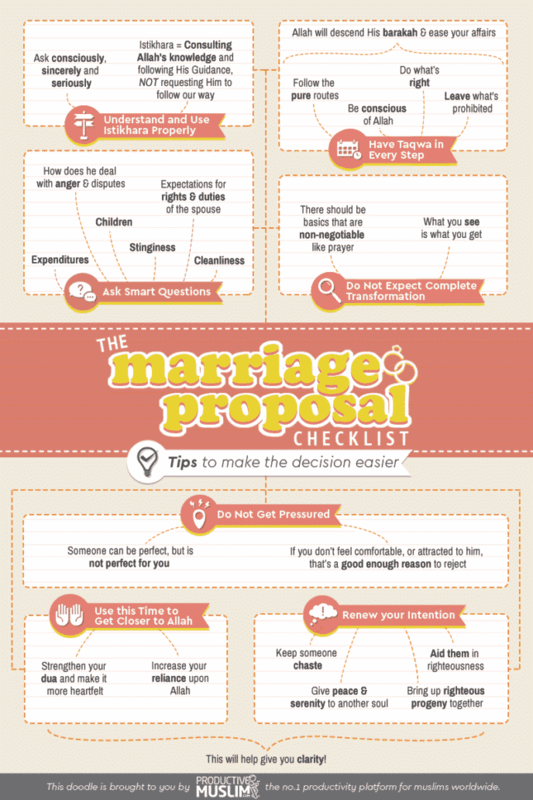 Well, we bring you The Marriage Proposal Checklist to help make your decision easier. Print this doodle and/or gift it to your friends who’re currently considering a proposal. Help those you care about in making one of the most important decisions in their life. 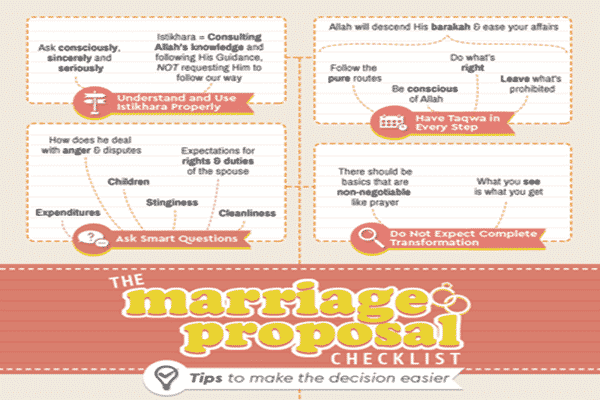 Read our original article, The Marriage Proposal Checklist for more help and inspiration.